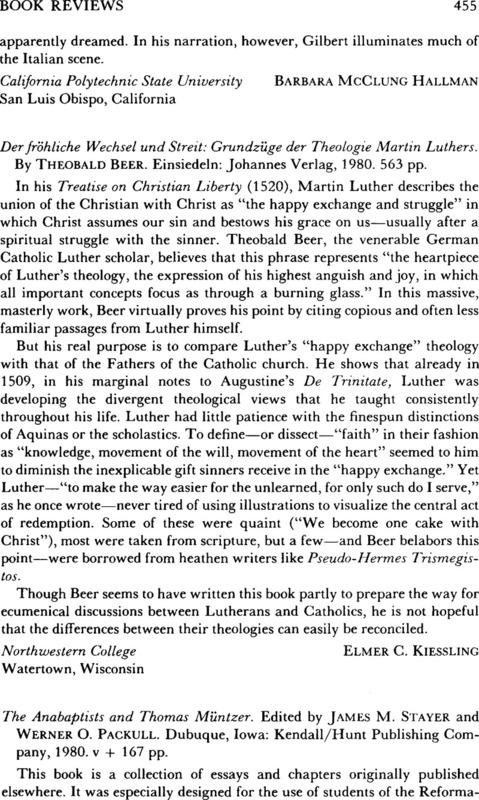 The Anabaptists and Thomas Müntzer. Edited by James M. Stayer and Werner O. Packull. Dubuque, Iowa: Kendall/Hunt Publishing Company, 1980. v + 167 pp.